During fetal development the urachus is a tube that connects the bladder to the umbilicus. After birth, the urachus normally closes and becomes a ligament. 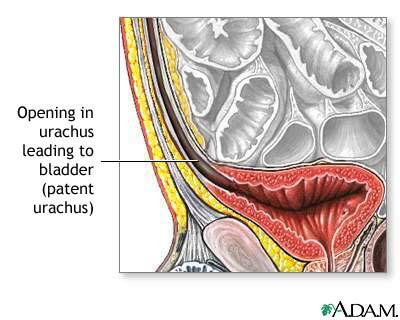 If the urachus remains open, surgery is recommended so that bacteria or infection cannot be introduced into the bladder.